Women are notorious for liking “bad boy” types and often times, snubbing the good guy. 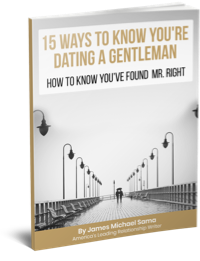 While the difference between a good guy and one who is so nice he could be considered a doormat, is an important one to define – the man who prides himself on his character and integrity should be acknowledged as a viable option for a romantic partner. A man who is truly a gentleman will always stand behind you, support you, and encourage you. Sure, there are some “bad boys” who will provide you with the same support, but by nature a gentleman will be more likely to express his emotions as well as to relate with yours. This quality will allow him to be more empathetic than his counterparts and have a higher comfort level when discussions complex issues. 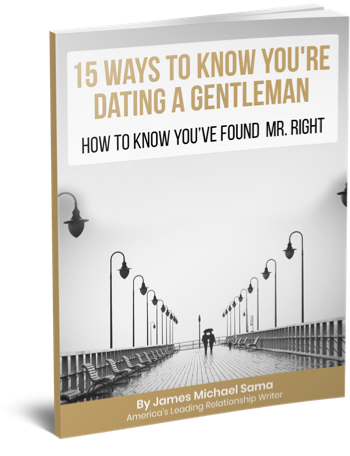 Recommended for you: Get James Michael Sama’s new E-Book, “The Gentleman’s Advantage” for only $3.99! I recently had a period in my life where I wasn’t sure where I stand with the guy I dated. The conversations always were towards body parts and I felt myself insecure all the time. I was hoping to connect with him emotionally before being involved physically but he decided to move on as soon as I made it clear that he doesn’t have a chance for intimacy. Recently I found out that he is married where couple of months before he told me openly that he will never get married. And he stated that I’m very confused and should decide what I want in my private life. In reality I am after emotional connection and believe that a normal man will wait until a girl will feel comfortable enough to be involved physically. Would you be able to give your opinion please? Have I had a “bad boy” experience? 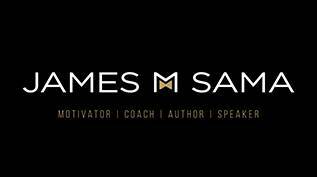 I, of course, am not James and can’t answer for him, but it sounds to me like you had a “bad boy” experience of the worst kind. Without knowing all the details, it sounds to me like it played out as: Man realizes he’s not going to attain physical enjoyment, leaves woman who won’t immediately gratify his desires, then quickly marries as a drastic move out of frustration. He likely married to prove some nonsensical point in an attempt to get back at you, which if that’s the case, is pretty low, but ultimately the jokes on him. That may sound absurd, but spite moves people to do some pretty crazy things. So in short, it sounds to me like you have clairvoyance in what you want in your private life, and this guy is the confused one. It’s more complicated than it appears. In any way it was great to have an opinion from outside. Lily the best way to get that is to tell the guy from the start that your going wait until to get married. Just be honest with the guy. If he don’t like it. Then you don’t need him. Looking back now I think he was serious about me. But he said from the beginning that he will never get married. I told him openly that I need to get married before being involved physically. He wanted a relationship with me, but managed to push me to the corner where I gave up and said “No” for intimacy. What he didn’t understand is that I wanted different conversations and some meaning in all what was going on. Never wanted to discuss body parts or going for the weekend somewhere. By offering all these he actually pushed me away. On the top of that before moving on he put me under condition “date or relationship”. He doesn’t know one thing that I analysed him when we were on few dates and had seen that he just sat in front of me and was looking at other ladies breasts. For me it’s disrespect and he doesn’t even know how he managed to hurt. My reply for his question (date or relationship) was: “I can offer you light dates”. I wanted to find out if I can connect with him more deeper before even going physically. And I’ve offered light dates as I end up having a feeling that I’m too much in his life. For my offer he replied with a question: “will you allow me to touch you upper waist?” That question on its own pushed me away completely. I just couldn’t stand the whole idea of a man just being interested in my body nothing more than that. Plus the fact of his eyes looking at some other ladies curvy parts. My reply was no, and he moved on. His current wife I think didn’t mind to be intimate and within a month he married her. A friend of mine (guy) thinks that I wasn’t the only one in his circle. Maybe that why he took me for granted completely (it’s how I feel), what he thinks I don’t know. Reblogged this on Ramble & Relish. Good points all and very much worth of reflection. I would like to add that some men might take a bad boy mode in another situation and be more of a gentleman in another. It’s like a introvert-extravert continuum: most people situate themselves in the middle being ambiverts. My girl-friend would probably agree that in another day I’m the most caring and romantic gentleman, but sometimes, not often, a little bad boy. “While the difference between a good guy and one who is so nice he could be considered a doormat, is an important one to define” – excellent point and one which I’ve been a victim of, probably. It’s a fine line which is defined by confidence, more than anything else. I’ll be writing about this soon too on my Yinology.org blog. One of the hardest lessons my son has had to learn is that nice guys never win. In my experience the reformed bad boy is a good option! Respectful, loyal ,has your back, is supportive and loves with depth because you took him on. Andrew, Lily said to get “comfortable enough to be involved physically”, in plain English, why are trying to reinvent a wheel? Her guy is not a bad boy, is more like bad nerd!! No loss here! Good for you, Lily!